ten or more with reservations. Thank you! 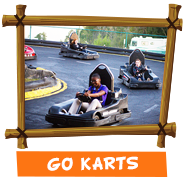 Get behind the wheel and race your friends. Or just cruise around and enjoy the track. 18 Holes on the course of your choice. One course per round of golf. 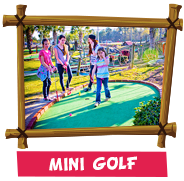 You could even win free tokens on the last hole! 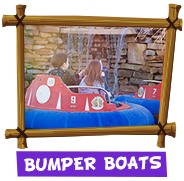 Cool off on our Bumper Boats. Chase and soak your friends with the built on Water Blasters. 1 Token=20 Balls. Get 12 Tokens for $10.00 or 25 Tokens for only $20.00. 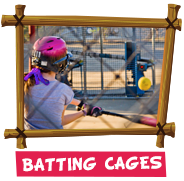 Practice your skills, or just enjoy taking a swing. 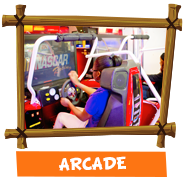 Get 24 Tokens for $5.00 or 50 Tokens for only $10.00… BEST Token deal… (available only at the snack bar)… 120 ARCADE tokens for $20.00! CHECK OUT OUR SNACK BAR ITEMS!